(NaturalNews) There has been a lot of information in the past few years about the benefits of eating grass fed beef. Unfortunately, the public, and often the grocer as well, have confused the term grass fed with organic. Cattle raised in feed lots live their lives in unsanitary, inhumane conditions. The concentration of many animals in a small, confined space leads to disease and pollution from waste. Animals are routinely treated with antibiotics (70% of the antibiotics in the U.S. are used for livestock), and the animals are not allowed the freedom or room to exercise. Their feed is unnatural to their diets. In addition, much of their feed is GMO. Grass fed cattle, on the other hand, are free to roam a pasture. Their living conditions are sanitary. They benefit from fresh air, sunlight, and a natural diet (unless they are raised on a pasture that has only one type of grass). Grass fed beef has less total fat, up to five times the Omega 3's as grain fed beef, and twice the amount of conjugated linoleic acid. Grass fed beef is in high demand, as it should be. But we should know that grass fed and organic are not synonymous. Cattle can be raised on unnatural feed (corn, barley, oats, soybeans beets, carrots, etc.) and the meat will be labeled organic as long as the feed is organic, they are not given hormones for unnatural growth, and they are not treated with antibiotics. It doesn't matter whether their feed is unnatural to their bodies and their digestion. Organic is organic! Pastureland may be natural, or it may be grass grown with petroleum based fertilizers that is sprayed with herbicides and fungicides. Grass fed does not ensure the meat is organic. There are no regulations regarding the grass fed label in regards to antibiotics and growth hormones. "Grass fed only refers to the feed they are given," says Steve Ross of the USDA Grass Feed Division. 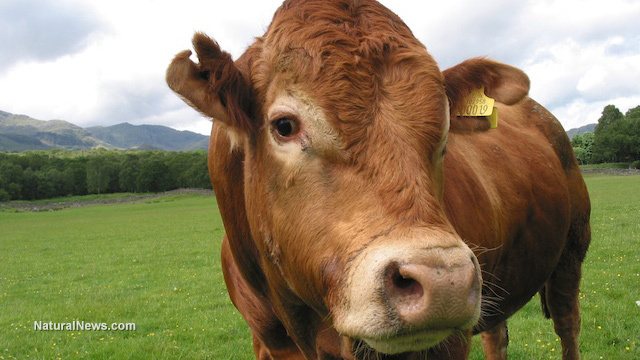 He confirms that grass fed cattle could have been given both antibiotics and growth hormones. If you want to purchase grass fed, organic meat, both labels must be present on the package. Speaking of cows, if you consume milk, read about it here: How Raw Milk Can Be Dangerous & Where It Is Legal.